Fabulous open plan kitchen, dining, sitting room with very clearly defined areas. 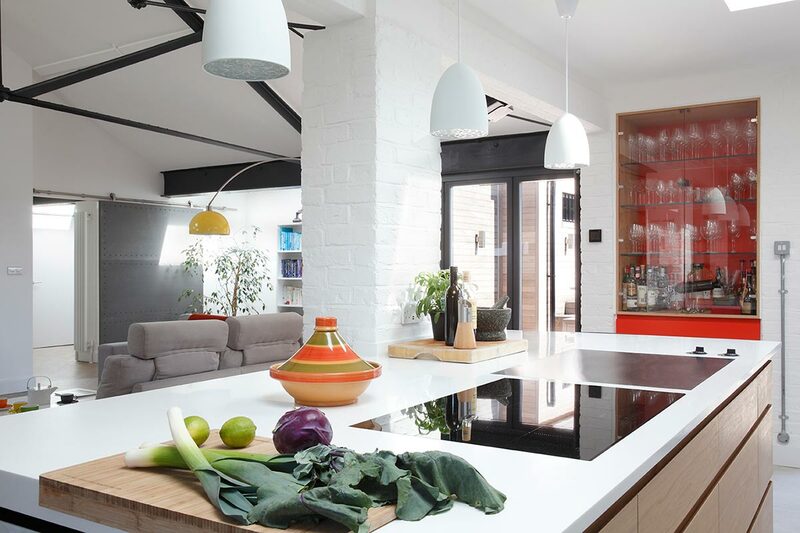 Interior design & bespoke kitchen designed by Ensoul. 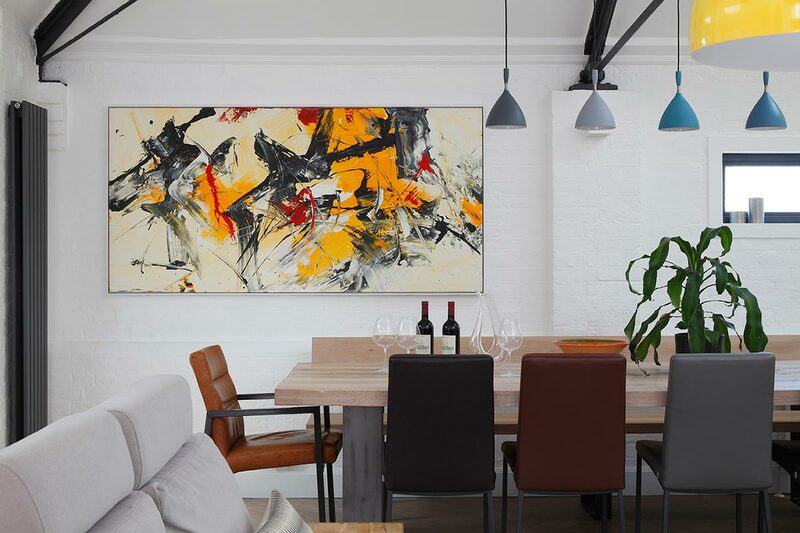 Dining area of a large open plan kitchen/dining/sitting room. 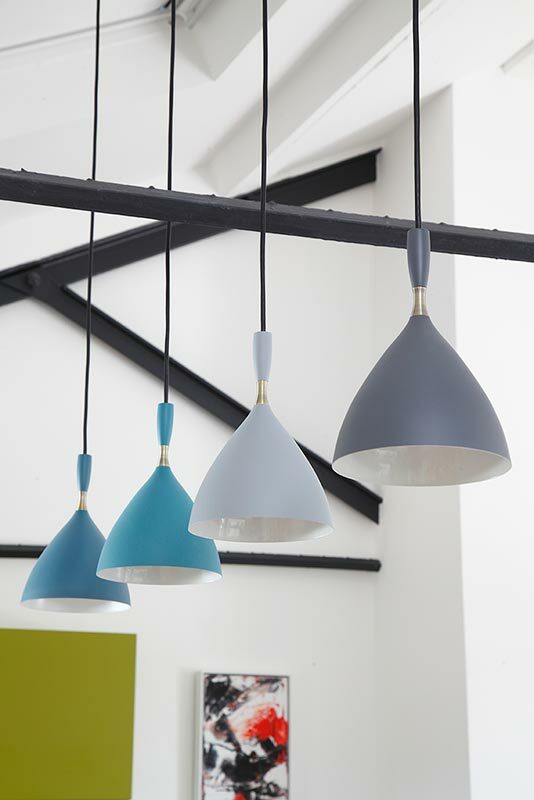 Pendant lights hang over the table. 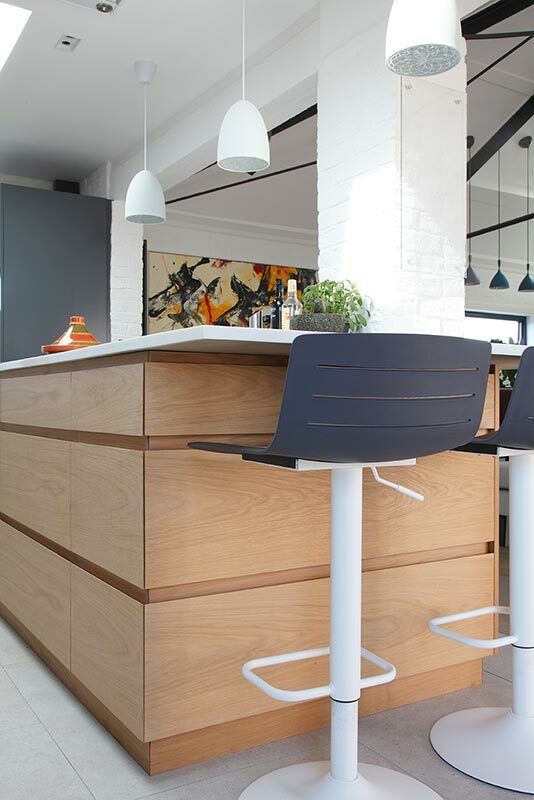 Bespoke kitchen featuring bookmatched Oak island with Corian worktops. Induction hob and hot plate sit flush in the island. 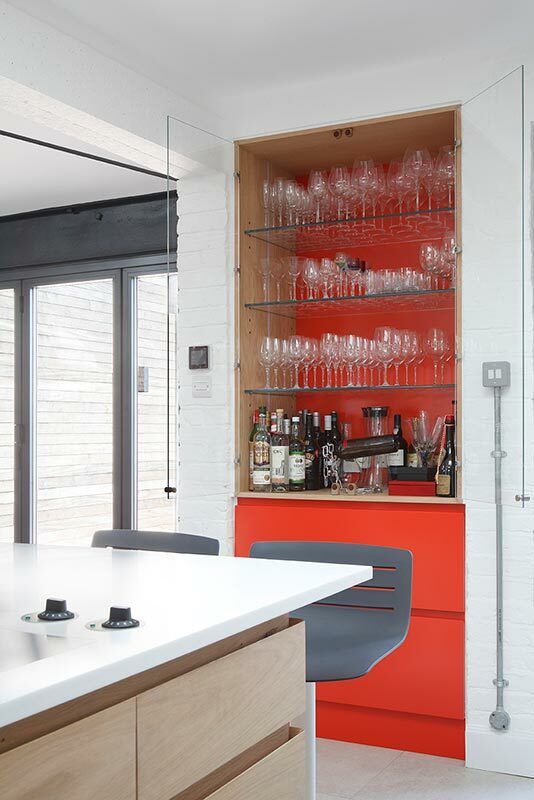 Shot of orange with lacquered drawers and back panel and glass doors to display wine glasses and bottles. 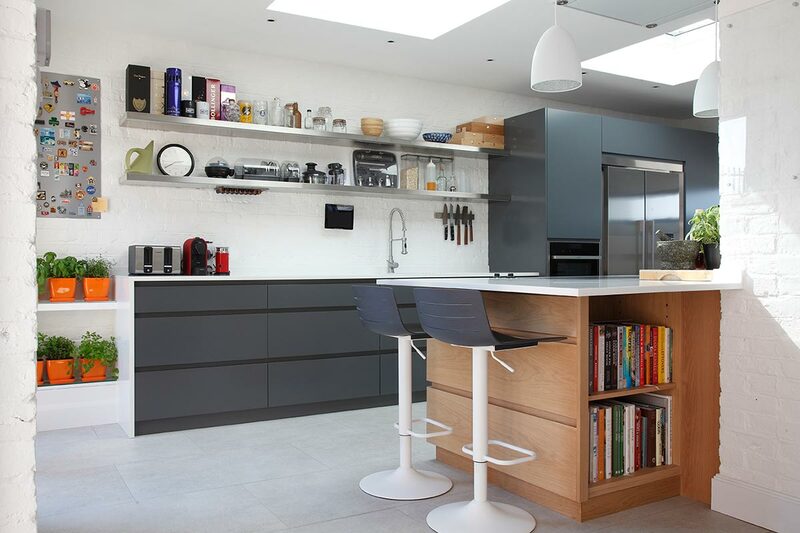 Bespoke kitchen with Oak island, anthracite cabinetry, stainless steel wrapped shelves and Corian worktops. 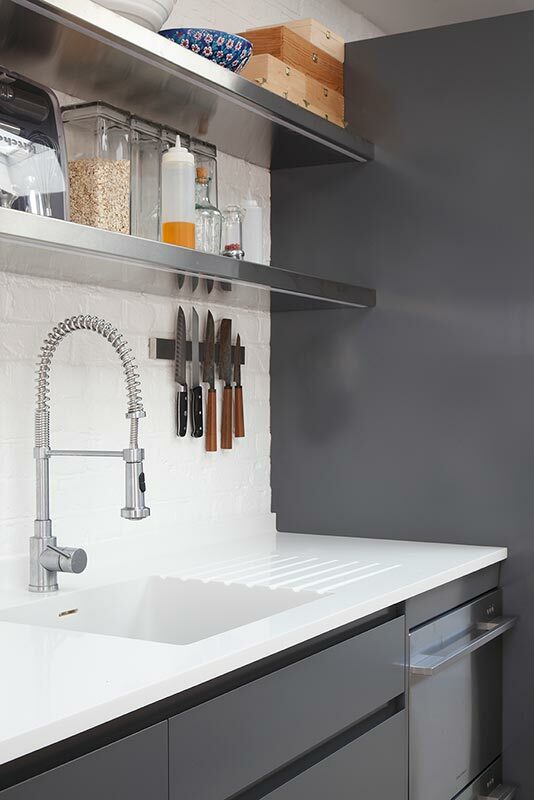 Bespoke kitchen with anthracite grey sprayed cabinetry and Corian worktops. Stainless steel wrapped wall shelves. 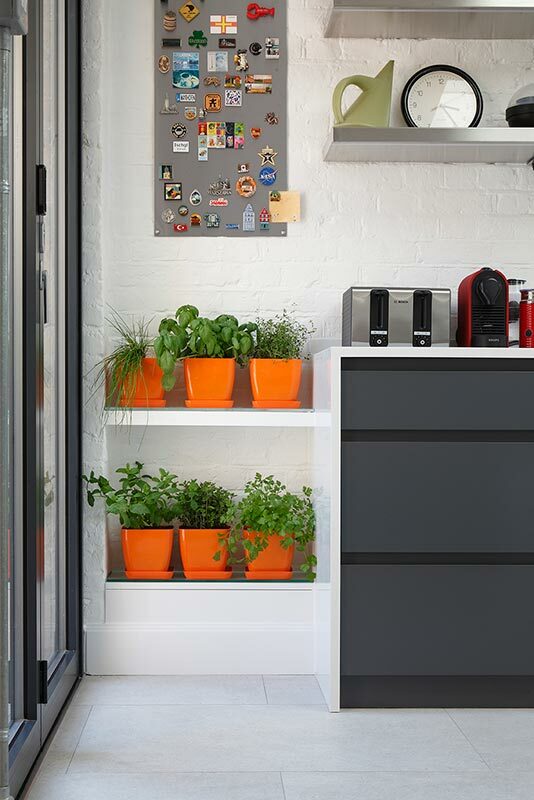 Beautiful bright orange herb planters in a kitchen. 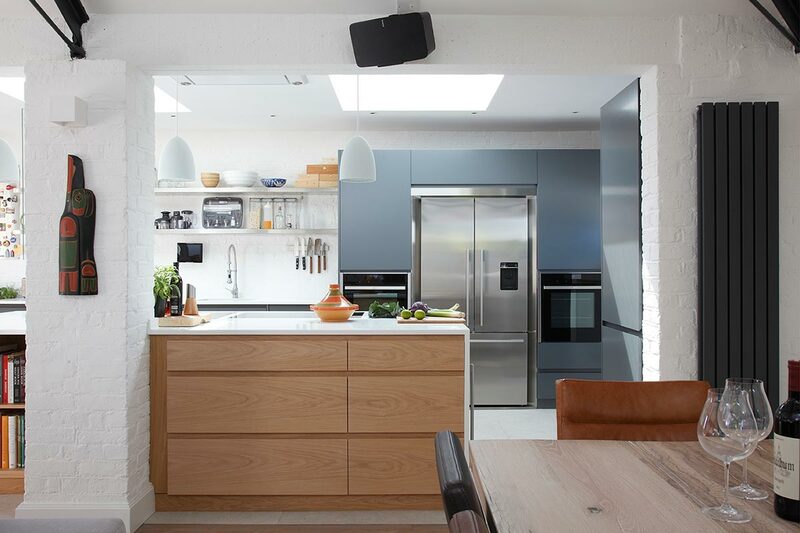 Bespoke kitchen with bookmatched Oak island and anthracite grey cabinetry behind. 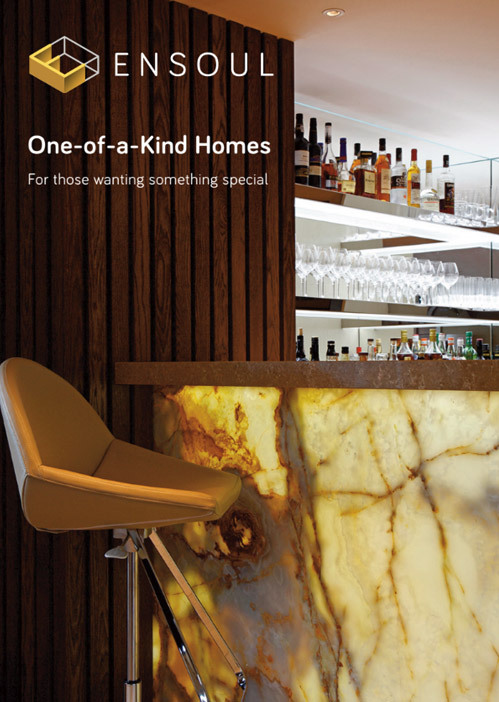 Corian worktops. Sitting room with neutral sofa and bright scatter cushions. 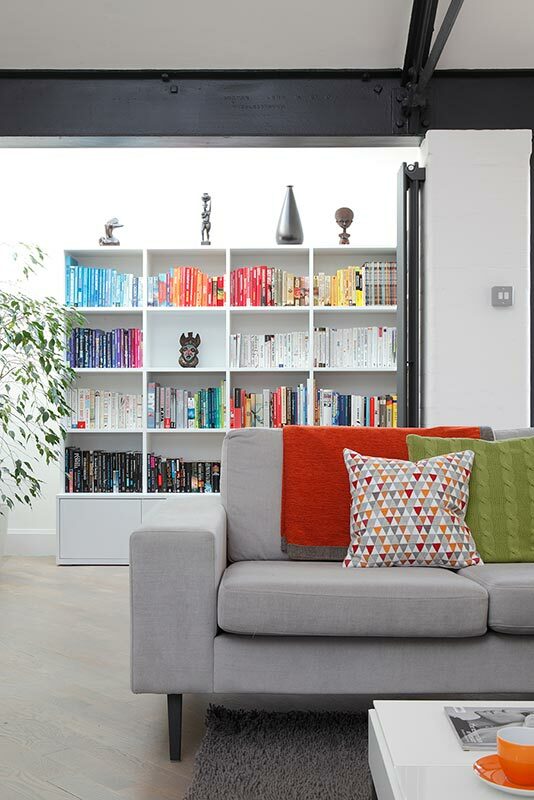 Bespoke bookcase behind with books arranged by colour of their spine. 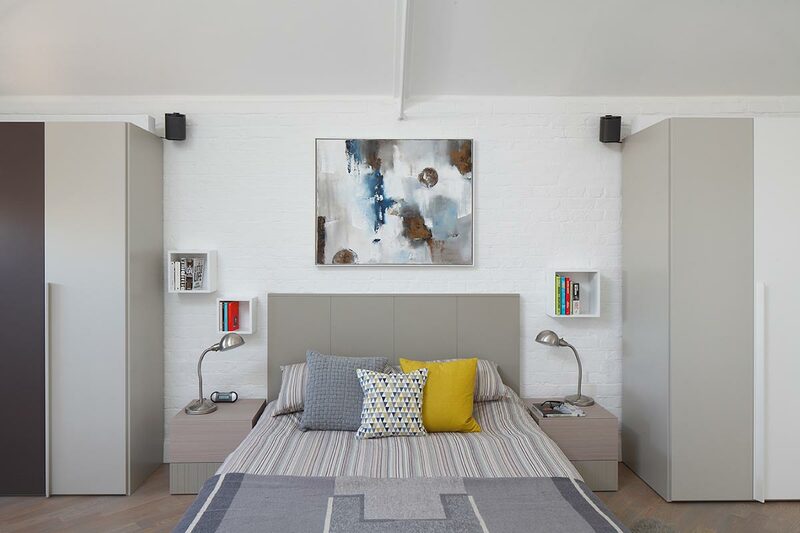 Master bedroom with wardrobes on each side for perfect symmetry. 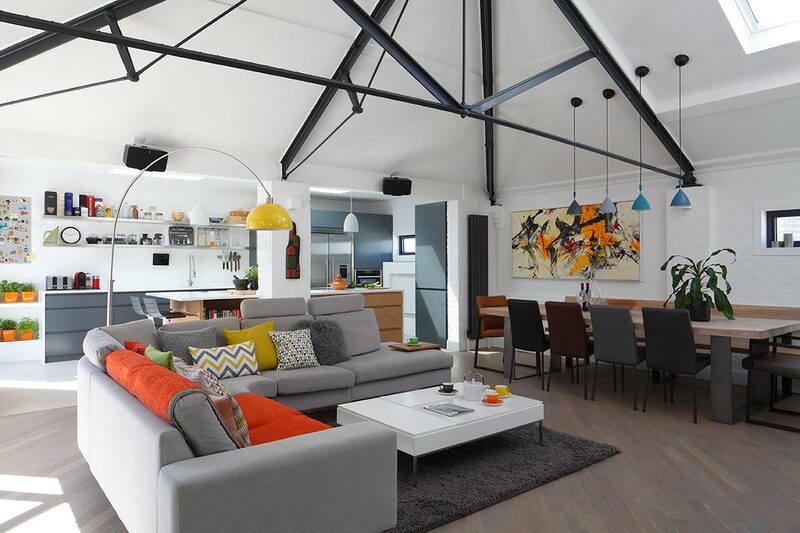 Vaulted ceiling gives great height and sense of space. 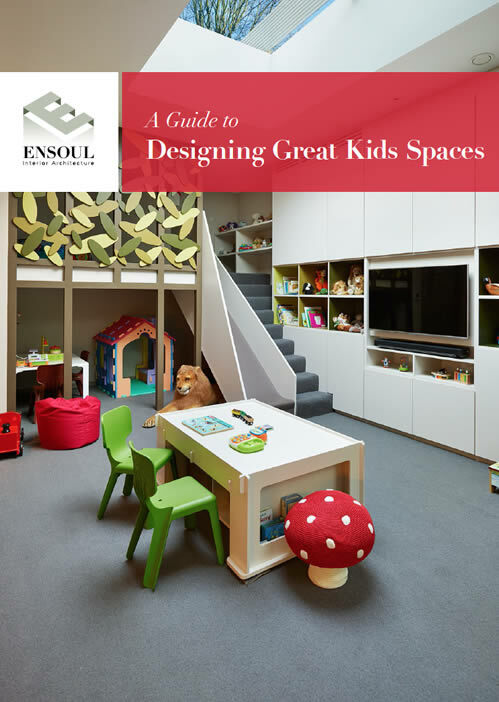 Neutral colours are calm and restful. Master Suite featuring an open plan bathroom. Behind this dwarf wall is a freestanding bath and basin mounted on top of vanity unit. The balcony opens onto a forest mural. 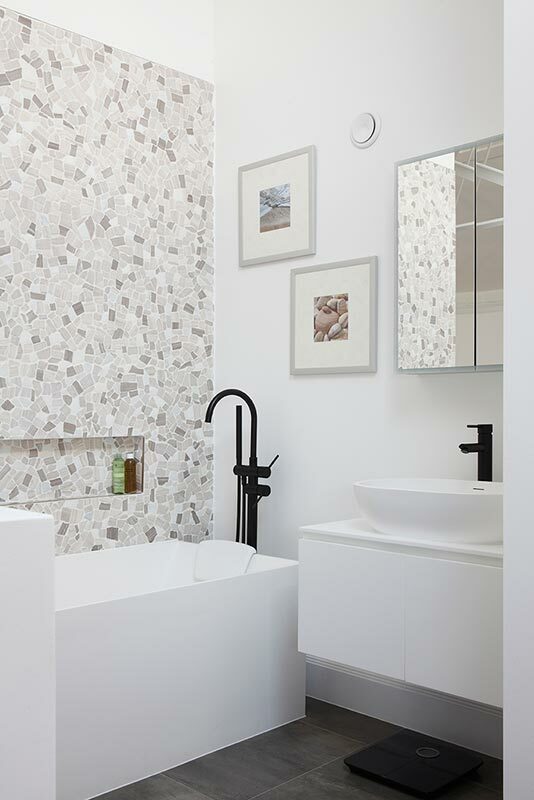 Master ensuite featuring freestanding bath, counter top basin and black mixers. 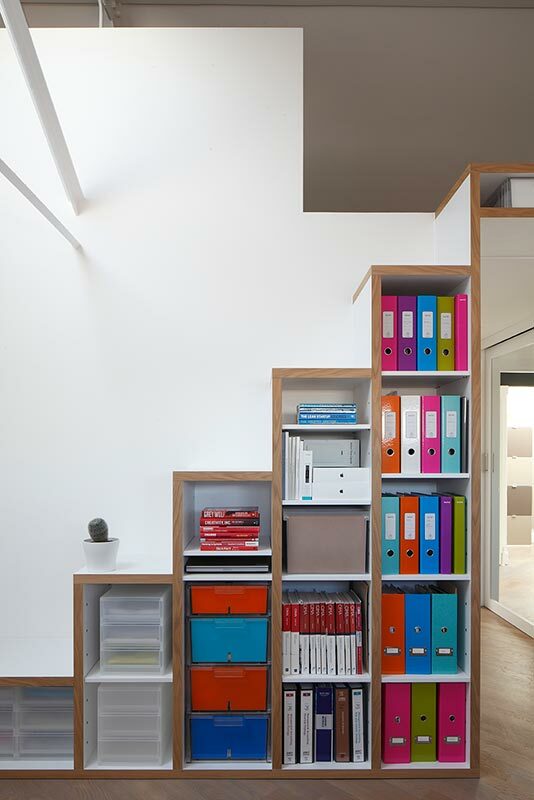 A simple but elegant staircase which doubles up as a bookcase and leads to a mezzanine floor above a home office. 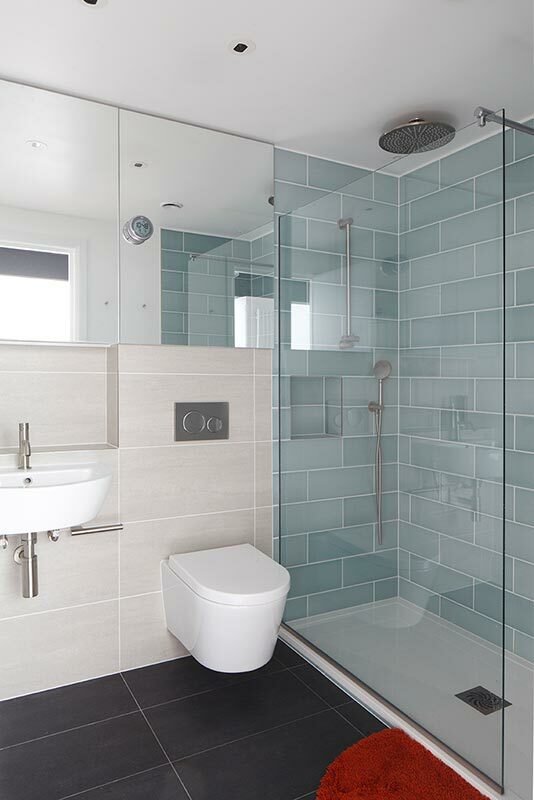 Guest bathroom with off-white and aquamarine wall tiles and dark coal floor tiles. 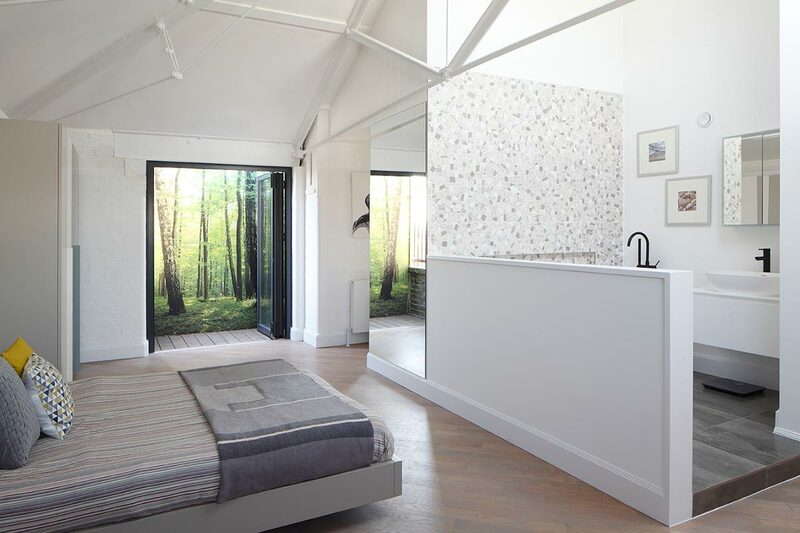 Satin chrome mixers and brilliant white sanitary ware. 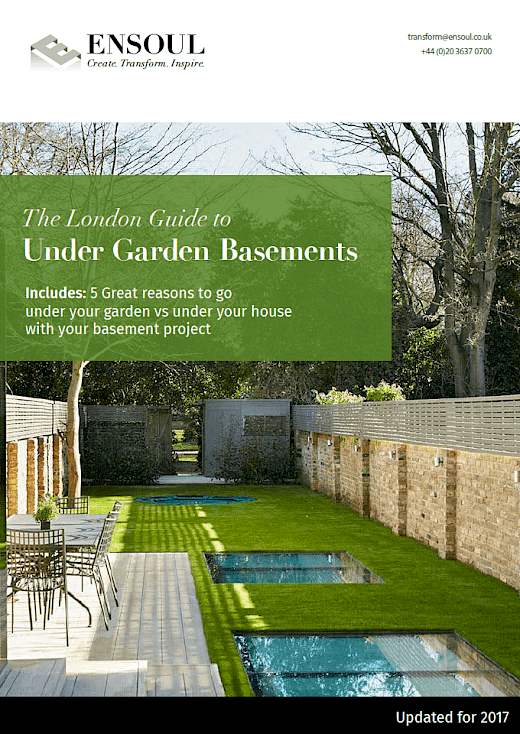 Our brief included re-planning the whole space; removing a structural wall to create a fabulous, large, open plan kitchen/dining/sitting room space, new bathrooms, new decorations and lots of joinery details. Designing a bespoke kitchen with book matched Oak island and anthracite cabinetry. 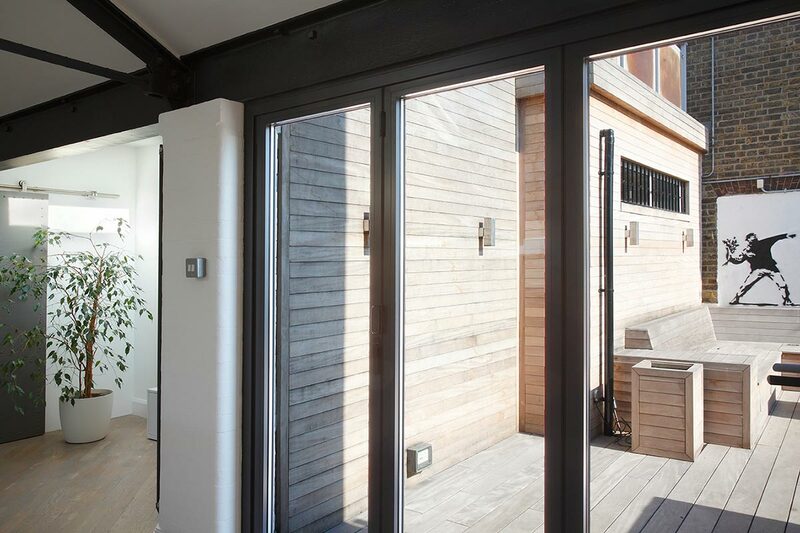 Creating a cool outdoor terrace which we did with built-in seating, a zinc wrapped bar and BBQ area.